Having spent a week last summer sea kayaking along the coast of northern British Columbia, I was looking forward to Ivan Doig’s The Sea Runners. Doig is a regional writer best known for his books about Montana, notably his novel Dancing at the Rascal Fair and a memoir of ranching life, The House of Sky. 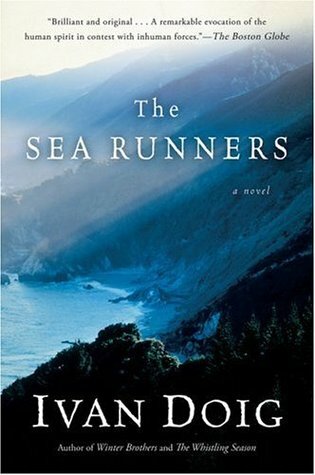 The Sea Runners, published in 1982, is an early work that builds on a footnote of history. (Doig earned a Ph.D. in history before turning to novel-writing.) It is the story of four indentured Swedes who escaped New Archangel (Russia’s settlement where Sitka, Alaska sits today) by paddling a canoe to Astoria, Oregon in the winter and spring of 1853. Doig’s historical research of Russian America shows. He provides a vivid description of the bleakness of New Archangel as he develops the back-story of the four men: how they got there, why they so desperately wanted to leave and how they planned their escape. The last three-quarters of the novel deal with the arduous journey down the coast and the men’s struggles to work as a team. The descriptions of the journey are nautically and geographically accurate; you get the sense that Doig sailed along that rugged coast before embarking on his writing. But missing for me were the details that create verisimilitude, those bits of first-hand experience that persuade the reader to suspend disbelief. For example, Doig tells how the men preserved venison by boiling it in saltwater, but he fails to describe the taste of it after weeks of soggy travel. 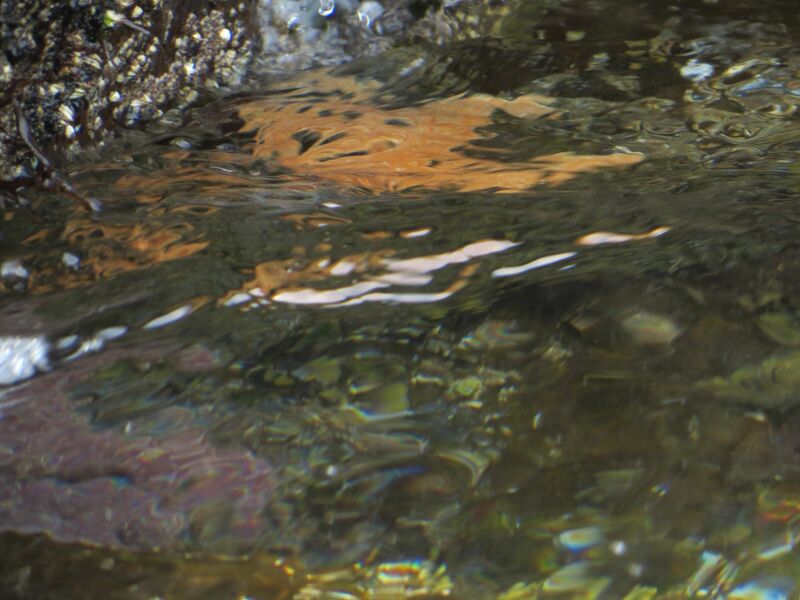 He describes the rocky islands of the Inside Passage but omits any mention of the abundant sea life at tide line. He captures the frustration of paddling against high seas and headwinds but provides little detail of the natural world, such as the frantic flapping of seabirds over schools of fish or the yelp of sea otter pups left by their mothers tethered to beds of kelp. The Swedes would surely have noted such things, just as they would have felt the chill and chafing of wet woolens, the effects of scurvy after weeks of bad diet, and the sores and aches from paddling a heavy cedar canoe for hours, days, weeks on end—all things Doig largely disregards. Like South, Ernest Shackleton’s superb memoir of his failed expedition to the South Pole, or Alive, Piers Paul Read’s riveting account of the air-crash survivors in the Andes, this should have been a story of survival and extreme physical endurance. Instead, Doig concentrates on the differences between the four men, their petty bickering and clashes as they vie for leadership. What brought down Melander’s decision in favor of Karlsson, however, was a feather of instant remembered from shipboard. Karlsson had been borne to Alaska on the same schooner as Melander, and Melander recalled that just before sailing when others of the indentured group, the torsion of their journey-to-come tremendous in them at the moment, were talking large of the bright success ahead, what adventure the frontier life would furnish and how swiftly and with what staggering profit their seven years of contract with the Russians would pass, Karlsson had listened, given a small mirthless smile and a single shake of his head, and moved off along the deck by himself. One further impression of the slender man’s interesting constancy also was stored away in Melander. The observation that Karlsson visited more often to the women in the native village than did any of the merchants of wind who perpetually bragged in the barracks about their lust. Or as Melander mused it to himself, the mermaids had hold of Karlsson’s towrope but he didn’t go around yipping the news. The prose is all too overwrought, as if colorful language might cover up a lack of detail from the historical record or first-hand experience. It’s a common problem with historical fiction, as Henry James noted long ago. The result is a story that would have been better served if it had been more plainly told. What a shame the storytelling got in the way of a good story. As you point out, it looks like it had all the makings of a ‘South’ or ‘Alive’ (both books I loved reading). I may be more critical than many, as the book has positive reviews on Goodreads, but I come to my reading as an apprentice writer and whenever something doesn’t work for me, it’s as interesting as when it does work and makes me ask why. I think that’s the sign of a good reader as well as a good writer, looking at the storytelling as well as the story. both of which you are. Sidenote: I’ve always wanted to tell you that I just love the name of your blog. Thanks! I’m enjoying seeing all of the comments on your post today. It’s fascinating to see the books selected and the sentences. It was a great idea. Thanks, I was surprised by how many people participated. I agree, it’s great fun to see the sentences and the chosen books and people’s reactions! “But missing.. were the details that create verisimilitude” and “the prose was all too overwrought.” Great writing, Tom! His arduous journey would be too arduous for me to read. Your review, though, is, as always, an absolute pleasure! You write so beautifully. Thanks. Yes, there were times when the style almost stopped me from going on, too. What an outstanding review. Some of Doig’s fiction I’ve adored, some I’ve started and let fall away. Like you, I really seek to understand what does and doesn’t work for me. It’s made me a better reader, and I hope, a better writer. Thanks, Julie. This is my first exposure to Doig’s work. I’m betting his books about Montana are better because they come out of his own experience. Books that don’t work for me, like this one, teach me as much as ones that do. Sometimes even more. I guess that’s how you find your own writing style. Enjoy the rains! Great review dear Tom… I love the way you deconstruct the book and found that your critic regarding verisimilitude are ready-witted… I have had that same feeling when reading books that even when don’t aim to describe a whole geographical atmosphere or natural surroundings failed precisely for those flaws when it comes to defining the background. I will check out your post on Henry James as I find it intriguing!. Thank you, Aquileana. I respect every author who has completed a book, so criticizing one that doesn’t work is hard but essential if you want to understand why. Thank you for stopping by. Have a great week. A very balanced review, I think like yourself, those niggling annoyances with the wayit is written would put me off. I think I would focus on them to the detriment of the rest of the book. Perhaps if I find it for a couple of quid, I shall pick it up. It is good to see that you rated South highly as that is on my winter list this year to read. Reading your review helps me to understand how to read in a more nuanced way. No doubt, your being a wonderful writer helps provide that perspective. I first heard of Ivan Doig in Portland, Oregon where he seemed to be something of a local celebrity. I think there is a novel about building of the Hoover dam that is supposed to be one of his major works. Haven’t got around to read him so far, though. P.S. Under A False Flag is up next on my to-read list. I went on a classics kick for a couple of months, but I’m ready to get back to my Indies. I just need to finally finish this gargantuan one…Jane Eyre. I’m super excited to read your book! LOL! I’ve been reading Jane Eyre for a month now, so even though it’s amazing, I’m ready to move on.